CIV-DAS is a real-time pharmacological alert system designed to increase patient safety during treatment. It alerts physicians, as they are prescribing the medication, of potential errors. 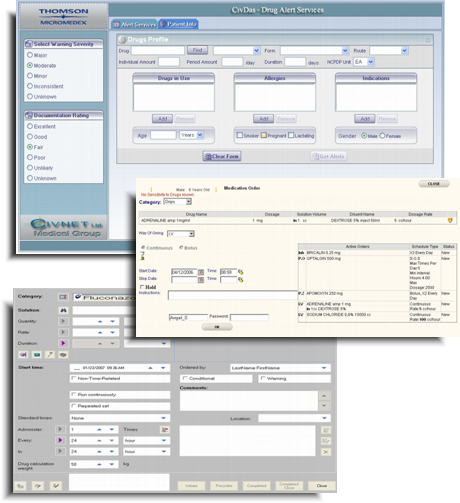 CIV-DAS integrates seamlessly with any computerized solution for medicine prescription such as EMR (Electronic Medical Record) and CPOE (Computerized Physician Order Entry). CIV-DAS uses the Thomson Micromedex® Healthcare Series gateway to a large number of databases containing information on drugs, toxicology, diseases, acute case, and alternative medicine.